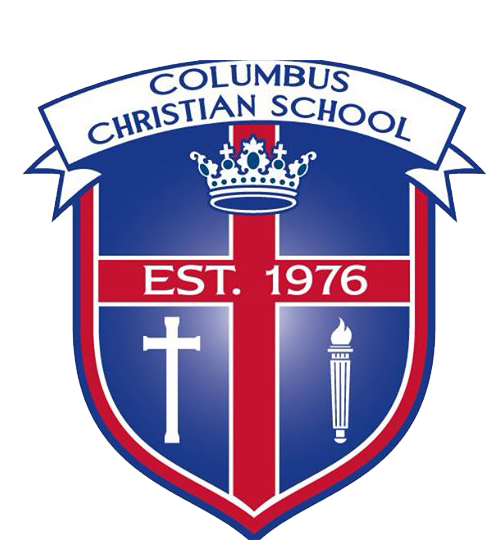 In keeping with the Columbus Christian School’s mission statement, and Core Values, the dress code has been designed to promote total education and social integration of the individual. We believe that there is a definite correlation between an individual’s personal appearance and self-respect. When a student is appropriately groomed and dressed, he/she feels confident. A positive self-perception in turn affects other dimensions of the individual, such as behavior. School is a child’s “place of business”. Each student is expected to report to school groomed and dressed for work. The work is the process of education, and expressions of individuality are not appropriate when they contribute to slovenliness, disruption, or distraction in the work. Fashion trends change frequently and are, therefore, poor standards of measurement in the determination for school-appropriate attire. We believe that trendy clothing that does not fall within the following dress code standards must be limited in its use to occasions outside the school environment. Our dress code is designed to help both parents and students select comfortable appropriate clothing for the school day. We have worked to develop clear, concise guidelines that allow for individual choice. Dressing for the occasion is a lifetime skill. Learning this skill requires consistency and a cooperative effort from both home and school. We rely on parents as the primary decision-makers for their children, and are confident that they will agree that time spent in resolving dress code issues during the school day requires sacrifice of time devoted to the real goals of the educational process. We, therefore, recommend that a conservative approach in the application of the following dress code, allowing instructional time to be maximized. When selecting clothes to be worn at school, we encourage you to make choices that promote Christian values. Students’ clothing should be neat, clean, and in good taste. Garments must fit comfortably; they may not be too tight or baggy. Apparel should be in good repair (no holes, rips, nor raveled at bottom). Parents may be called and expected to bring a change of clothes if clothing does not meet guidelines. It is impossible to anticipate all varieties of apparel that may be worn by students to school. Therefore, the administration will determine inappropriate dress using the above guidelines. If it affects the learning environment, the student may be asked to leave and not return until the problem is corrected. Guidelines apply to all school sponsored events unless otherwise stated. DRESSES AND SKIRTS: Must be fingertip length. SHORTS: Must be fingertip length. They can be worn all year round, with the understanding that students still go outside for recess on cold winter days. No writing and/or picture should be across the seat of the shorts. Middle School/High School: Athletic shorts/pants are only allowed during PE class. Elementary: Athletic shorts/pants may be worn on PE days. PANTS: Must be worn at the waist. Tight or baggy pants are not acceptable. No writing and/or pictures across the seat of the pants. No pajama type pants. If you wear leggings or yoga style pants please make sure your shirt/sweater meets the “fingertip length” guideline. Sweatpants are not allowed at anytime. SHOES: Shoes must be worn at all times. Age/activity appropriate shoes should be chosen. ACCESSORIES: Such as “hardware” on belts, gloves without fingers, heavy chains, visible tattoos (including temporary tattoos), sunglasses, and hats are not allowed. Ears may be pierced with a limit of two earrings per ear (girls only). No other visible body parts may be pierced. Only traditional/natural hair color is permitted. Hair should be trimmed and neatly groomed. Facial hair should be neatly groomed.